We would just like to remind you that abstract submission deadline for the upcoming International Conference on Language and Education: Multilingual Education for All in Asia and the Pacific – Policies, Practices and Processes is approaching soon. 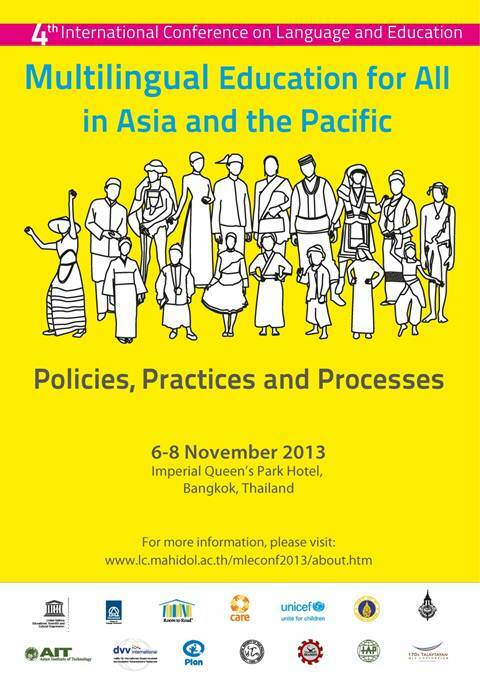 For those who haven’t submitted their abstracts, please do so by 30 April 2013. More speakers will be added shortly on our conference website. Hope to see you all in Bangkok in November!